Like many people who deal in domain names, who also deal in other rarities. The most common of which are Car Registration Plates and Mobile Phone Numbers among various others. I’m always watching DVLA Auctions for any decent number plates or plates which I like coming up. There maybe 1 or 2 I like in the 21st September to 23rd September auction (Catalogue Here). 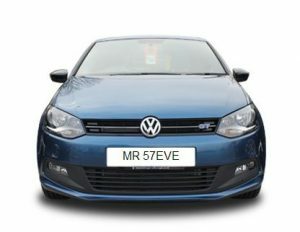 It made me think about my biggest personal reg plate purchase. I bought the personal number plate which closest matches my surname, which were madness since I didn’t even have a car new enough to hold the plate. In general the rule is, you can’t put a plate on a car which is newer than the date of the car. So you can’t put a 2016 Plate on a 2012 registered vehicle, but you can put a 2012 Plate on a 2016 Registered Vehicle. The person I took with me, had never been to a DVLA Auction, or even any auction before so they didn’t know the hammer price is a far cry from the price you pay. In this instance the hammer dropped at £4,000, on top of this you have pay VAT, Buyers Premium at 8%+VAT and a £80 DVLA Assignment Fee (about the only thing without VAT). This means the final price is just over 31% extra on the hammer price, so its a hell of a whack on top. When you add hotels, fuel, 2 days of food, drink, etc due to distance the auction were held away from my home, it were closer to £6,000 all in. This is just a standard auction, so I’ve decided to bid online, since there isn’t a plate I 100% want no matter what. Some of the interesting ones are… I especially like “New 100K”, which as a personal trainer / fitness coach / body transformation expert / make over coach, this plate would be spectacular. That’s not the plate I’m mostly interested in, but I have listed some of the nice plates due up in this auction… I have also added the perceived alphabetic words too. 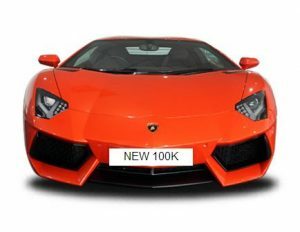 Its worth considering a private plate as an awesome branding tool. Can you imagine, you’re a professional, top of your game in Scratch and Dent Removal, so you turn up and your number plate is “RU13 BER” like in an eraser. You “rub out” spots, scratches and dents.